The living room is all about the furniture, and the sofa is often the principal element. The living room sofa stands out and is an integral part of everything, from the décor to the style setting. In fact, the sofa is often called the smart furniture of the living room as it is functional in many ways. Italian sofas are known to create drama and add character to the sitting room design layout. Thus while designing your living room focusing on the sofa is essential; the paint on the walls and floors could be coordinated accordingly. You can choose from some of the classy Italian sofas in Delhi and Mumbai, with the top brands in the market like Pianca India, and Bonaldo Furniture India, competing to offer the best luxury furniture in Delhi and Mumbai, especially. Here are a few style tips for the living room that center around the Italian sofa and ultimately draws from it the base of the design layout. Which one do you think you will adopt for your living room? Make sure that your statement Italian sofa stands out in the living room layout. Let it enjoy the starry lights and the camera flashes! Keep the other furniture less ornate, and keep the wall décor in the background minimal. It is better if your statement sofa is in bold colored, brightly textured, vibrant fabric. This ensures that your statement sofa is the first thing that catches the eye. Allow the sofa color to pop out complimentary to the color scheme of the other décor items. Let your Italian sofa echo your style personality, be it bold colored, leather, vintage or modern. Allow your personal style to reflect on the design tactics, like the placement of the sofa, the colors used in the background, items of décor and supporting furniture. Don’t be afraid to play! Matching it all up is boring, also too much contrast can be painful! Consider the rule of three which means picking up three different accent areas, especially in the coloring theme. Use predominately only three different colors in the style layout including the statement sofa. Mix up your living room styles for variety. 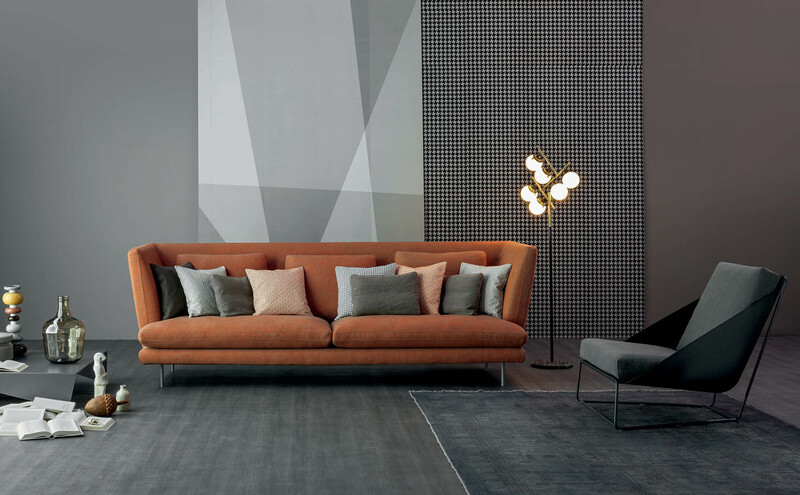 Combining it with the opposites lets the statement Italian sofa to stand out. Pair up organic with geometric, dark with light, busy with simple. It will all make your living room interesting. The ceiling lights focusing on the Italian sofa actually adds essence to it. You can hang a classic chandelier or a bouquet of filament lights. Lights are known to create a calming yet chaotic effect that puts all the attention accurately on the living room sofa! Add some art to the wall décor in the background. Hang painting frames in contrasting colors to strike a balance. Or add a classic coffee table! Make it ‘contrast’-ing but pairing up your statement Italian sofa and coffee table colors in opposites. So the next time you purchase your favourite kind of Italian sofa, style it up with these tips. Of the luxury furniture in Delhi, Mumbai, and others, you can choose from leading furniture brands in the market like Pianca Furniture India and Bonaldo India offering the best deals in Italian sofas in Mumbai, Delhi, etc. Step out of your comfort zone and let the décor reflect your true style personality!